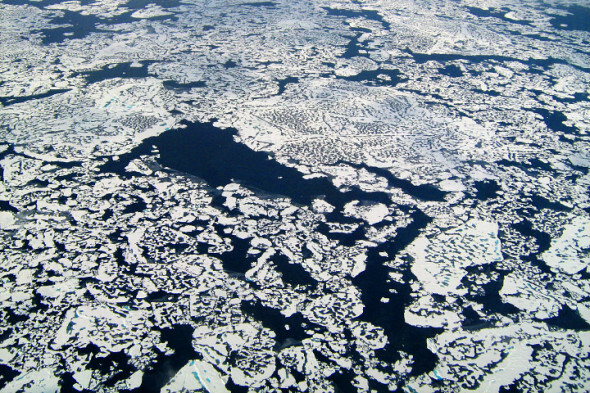 It has been widely believed that there is a large amount of carbon compounds trapped under the arctic ice. As global warming starts to take hold, a lot of this ice is starting to thaw, releasing the carbon compounds into the atmosphere. The gasses would add to the greenhouse effect and would further drive climate change. The effects, however, will be slow and might continue for the rest of the century, a new study suggests. The scientists pointed out that while most of the time we blame the burning of fossil fuels to release of carbon dioxide in the atmosphere, we are ignoring one of the biggest sources. One-tenth of global warming is associated with tropical deforestation, but soon that same fraction would be associated with permafrost. It is not only the trapped carbon compounds that the scientists are worried about, the permafrost would also release a lot of organic materials as well, which have been trapped for centuries. If any microbes start to decompose it, then there would be an even greater increase in potent methane. The addition of more greenhouse gases is expected to increase the rate with which our climate is changing. The last 30 years have seen a rise of 11 degrees, in the temperature of the permafrost in most regions. The aforementioned study was aimed at finding out what type of carbon would be released and in what amounts, if the scenario keeps developing at the current rate. The scientists also tried to address the problem of an instant and quick climate change, due to this release, but the results contradicted this statement. The scientists also pointed out that recent climatic model have not been taking this factor into account, for gradual changes, which would leave their model with a large margin for error. Additionally, there has been a lot of news about policies to reduce the use of fossil fuels and minimize the rate at which the temperature is changing. What the policy makers are not seeing is that it could be harder than to reach that goal, if they do not take this factor into account.